In their debut season Havant & Waterlooville went into the game on the back of three wins in their last four games. That one defeat came against Verwood. The league leaders came away 8-6 winners that day. Both sides began playing positive attacking football but it was the home side who opened the scoring through Ella Celik. The lead was short lived when Emilie Regnart held off the defender to fire an equaliser. Despite Havant’s bright start they went behind 2-1. 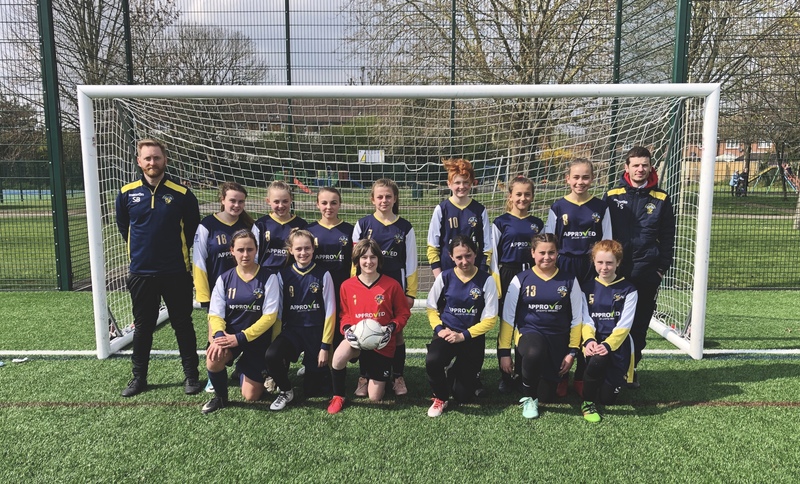 There was a scramble on the touchline which resulted in the ball coming free and finding its way to Eleanor Clifton who put the ball in from a yard out. The second half began where the first had finished, with both sides looking like they have the ability to score again. It was Havant that managed to get themselves back into the game with an equalising goal from Celik. Havant’s keeper, Katie Walker, made important saves to keep the game all square. It looked like Ellie Burchell was going to give Havant the lead but the Verwood defender managed to come across and take the ball as Burchell was about to shoot. Burchell wouldn’t make the same mistake again. When she found herself in a similar position she took aim and put the ball passed the keeper, not giving the defence a chance to get near her. In what was a great game to behold for the spectators Regnart equalised with a superb finish to make it 3-3. Around the 50th minute Havant made a tactical reshuffle as Tiegan Pilgrim moved into central midfield with Vakare Petkeviciute. This was an important period of the game as the next goal would likely have a huge bearing on the end result. The pair protected their defence and provided a firm base for which to attack. It was Havant who grabbed the next goal when the Havant captain, Ellie Harris, finished from close range. From this point on Havant never looked like throwing this lead away. Havant were given some breathing room when Celik completed her hat trick a few minutes later when she chested the ball down and volleyed in from inside the box. The game was put beyond doubt in the last ten minutes when Harris’ powerful shot flew passed the keeper and into the roof of the net. Celik wrapped up the game with her fourth and Havant’s seventh. Verwood are remain top of the league and are likely to finish the season there but for Havant this result will be a huge confidence booster for the girls. Both sides were a credit to the league and grassroots girl’s football.